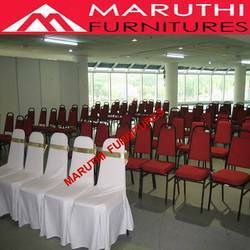 As a major manufacturer & supplier of Banquet Hall Chairs, we offer a right seating solution to function halls, eating houses, and social events like party, reception, etc. Our offered hall seating solution meets all the latest standards, budgets and space requirements of customers. 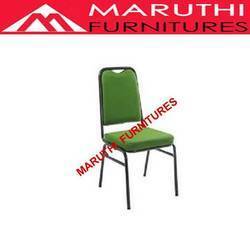 Durable, elegant and highly comfortable, our Banquet Hall Chairs offer optimal space, easiness and flexibility to people. 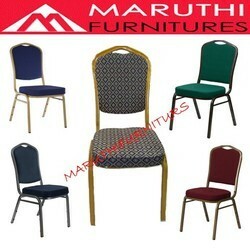 These are available in a wide range of finishes & features for absolute satisfaction of the customers. 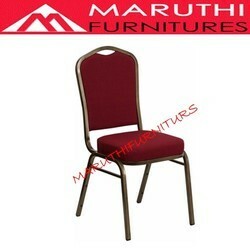 Precision, elegance and affordability are some important concepts of our Banquet Chairs. Heavy Duty Chair. Constructed Of 18 Gauge Steel (Much Strong Than 20Guage Steel), This Chair Will Withstand The Test Of Time. 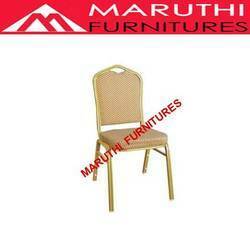 The Chair Offers Both Maximum Comforts Durability! 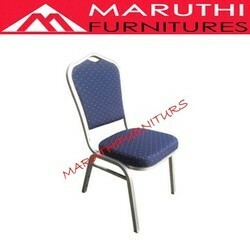 Fabric Upholstery For Seat And Back. Seat Cushion: 50 Mm Thick 50 Density Molded Foam. Back Cushion: 32 Mm Thick 28 Density Pu Foam, Powder Coated. Frame: Made Out Of 19 Mm Square Crca Tubular Section, 16 Swg. Heavy Duty Chair. Constructed Of 18 Gauge Steel (Much Strong Than 20Guage Steel), This Chair Will Withstand The Test Of Time. The Chair Offers Both Maximum Comforts Durability!Mid Back Stack Chair 2 ¼ “ Thick Upholstery Seat Seamless Back Panel Side Stacking Bars Tapered Back For Stacking Ease Bumper Guards For Finish Protection Dimensions Fabric Upholstery For Seat And Back. Seat Cushion: 50 Mm Thick 50 Density Molded Foam. Back Cushion: 32 Mm Thick 28 Density Pu Foam, Powder Coated.Frame: Made Out Of 19 Mm Square Crca Tubular Section, 16 Swg. Heavy Duty Chair. Constructed Of 18Gauge Steel (Much Strong Than 20Guage Steel), This Chair Will Withstand The Test Of Time. The Chair Offers Both Maximum Comforts Durability!Mid Back Stack Chair 2 ¼ “ Thick Upholstery Seat Seamless Back Panel Side Stacking Bars Tapered Back For Stacking Ease Bumper Guards For Finish Protection Dimensions Fabric Upholstery For Seat And Back. * MS Steel 18 guage 3/4 inch round oil pipe black powder coated . 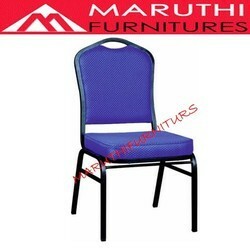 * Seat and Back U foam with frabric look any color available. Heavy Duty Chair. Constructed Of 18 Gauge Steel (Much Strong Than 20 Guage Steel), This Chair Will Withstand The Test Of Time. The Chair Offers Both Maximum Comforts Durability!Mid Back Stack Chair 2 ¼ “ Thick Upholstery SeatSeamless Back PanelSide Stacking BarsTapered Back For Stacking EaseBumper Guards For Finish ProtectionDimensionsFabric Upholstery For Seat And Back. Seat Cushion: 50 Mm Thick 50 Density Molded Foam. Back Cushion: 32 Mm Thick 28 Density Pu Foam, Powder Coated.Frame: Made Out Of 19 Mm Square Crca Tubular Section, 16 Swg. Heavy Duty Chair. Constructed Of 18Gauge Steel (Much Strong Than 20Guage Steel), This Chair Will Withstand The Test Of Time. 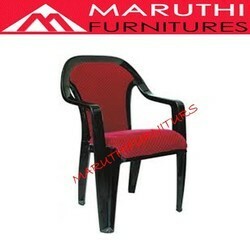 The Chair Offers Both Maximum Comforts Durability! Heavy Duty Chair. Constructed Of 18 Gauge Steel (Much Strong Than 20Guage Steel), This Chair Will Withstand The Test Of Time. The Chair Offers Both Maximum Comforts Durability!Mid Back Stack Chair 2 ¼ “ Thick Upholstery SeatSeamless Back PanelSide Stacking BarsTapered Back For Stacking EaseBumper Guards For Finish ProtectionDimensionsFabric Upholstery For Seat And Back. Seat Cushion: 50 Mm Thick 50 Density Molded Foam. Back Cushion: 32 Mm Thick 28 Density Pu Foam, Powder Coated.Frame: Made Out Of 19 Mm Square Crca Tubular Section, 16 Swg. 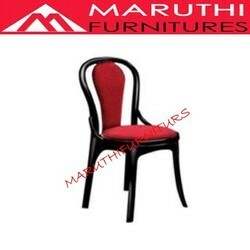 Lacquer finish plastic moulded high back chair with arms having seat & back cushion of moulded PU foam with velvet / cotton upholstery. H 895 mm X W 560mm X D 580 mm. 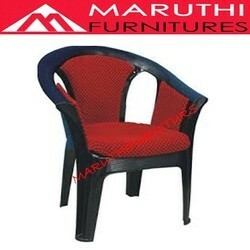 Sofa Chair with seat & Back cushion of moulded PU foam & Velvet Upholstery . Dimensions : H 820mm X W 715 mm X D 640 mm. Lacquet finish synthetic resin medium back chair with arms having seat & back cushion of moulded PU foam with velvet upholstery. 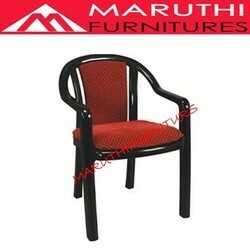 Heavy duty armless chair with Pu foam & velvet upholstery. Lacquer finish synthetic resin heavy duty chair having gleaming contoured back with PU moulded seat / seat & back cushion and velvet upholstery. Dimensions : H 875mm X W 430 mm X D 480 mm.